Engaging in a brain fitness program is a way to minimize the forgetfulness common with aging. Memory issues may involve nothing more serious than getting your grandchildren's names mixed up or forgetting where you left your glasses. Memory loss happens when changes occur in the brain due to the aging process and the decreased blood circulation to the brain caused by factors like atherosclerosis. Sometimes failing memory can be a symptom of a more serious condition such as Alzheimer's disease. If you find you have trouble remembering things like appointments, names of things or information you have been given, or people say you have asked them the same question several times, your memory may be compromised. You may also find it harder to remember directions or instructions, and can find yourself unable to remember your way, even in a familiar area. While a visit to your doctor should always be the first step if you have any concerns about your health, there are many ways in which you can help yourself to a better memory and improved brain function. You can boost your memory. A brain fitness regimen can not only improve your memory, but also will give you a sense of purpose and boost your morale. Taking up a hobby is an excellent way of reducing stress, anxiety and depression, whether it is a physical program involving golf, walking, tennis or cycling or a creative or mental hobby like painting, chess or cards. Studies have associated physical exercise such as walking, swimming, cycling, dog walking, or jogging with improved brain function, which may be due to the boosted circulation delivering more oxygen and nutrients to the brain. The psychological benefits also cannot be discounted. A brain health program might also include keeping the brain active with reading, card playing, chess, puzzles and quizzes, which have also been shown to keep the memory working better. The morale boost involved in creative hobbies such as painting, photography, sculpture and sewing should not be overlooked. Keeping a diary of your day-to-day activities is useful in helping you remember events and appointments. It is also possible to buy electronic brain trainers, which keep the brain flexible and exercised, or to find websites that offer these games and puzzles online. 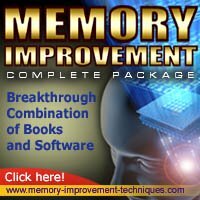 These brain fitness program exercises are designed to keep the mind agile and the responses quick, and they are often smart enough to develop with the user and become more difficult as they get better. They are also fun!